I cook lots of different kinds of foods: Mexican and Italian, Chinese and Vietnamese, Argentine, French, Spanish and Texan. Some of my favorite food is a sort of Texas fushion which can incorporate bits and pieces of all of them. I like things like foie gras potstickers, cowboy snails, and sweetbreads tacos. Except for baking (which is as much chemistry as cooking) and Julia Child’s Beef Bourguignon (out of respect), I generally don’t use recipes. I’m more of a technique guy. As much as I love to cook, I particularly like cooking with wine. I use a lot of wine when I cook and it doesn’t matter what sort of food I’m cooking. And it’s something I’m regularly asked about. Why use wine? Which wine? How much do you use? When should I add it? Does the alcohol all evaporate? And so on. I use wine in cooking for a variety of reasons. Wine can replace some of the water when I make rice (or polenta or masa for tamales). Wine can add acidity and/or sweetness. Wine can add richness and complexity and even a savory element. Wine adds alcohol, which along with fat and water, is one of the key vectors for flavor (some flavors are soluble in fat, some in water, and some only in alcohol). And, of course, red wine can add color. Along with dry red and white wines, fortified wines – Port, Sherry, Madera, and Marsala – are often called for in recipes but there is more to it than just that. Red or white wine can be tart or smooth. 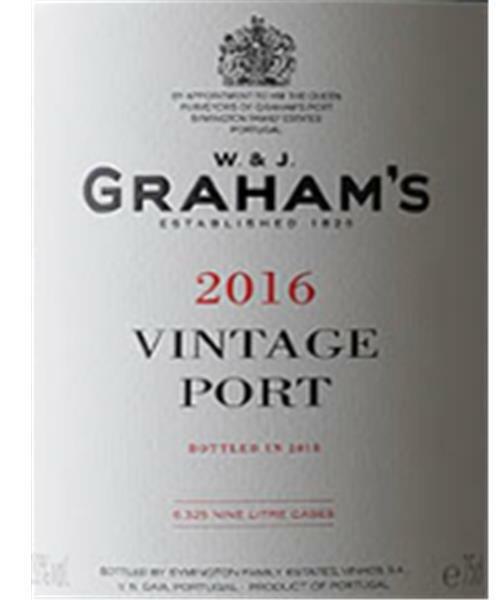 Port can be tawny or ruby. Sherry, Madera, and Marsala can be bone dry, lushly sweet, or anywhere in between. Consider the dish to choose the wine. Even if no type is specified or you are – as I almost always do – winging it, think about the dish. The dish will tell you which wine to use and when to use it. Writer Ethan Fixell sent me (in my role as the fine wine buyer for Spec’s) some questions to answer for his upcoming article on “Selling Bordeaux Today” for Beverage Media. I answered them but I have no idea how much of or even if he’ll use the information and opinion I gave him. Nevertheless, his questions with my answers offer a good look at how I (and, by extension, Spec’s) look at the wines of Bordeaux. Q. Spec’s carries a lot of Bordeaux. Why do you believe in the region’s wine as a good buy for 2018? What do you feel it offers to customers? 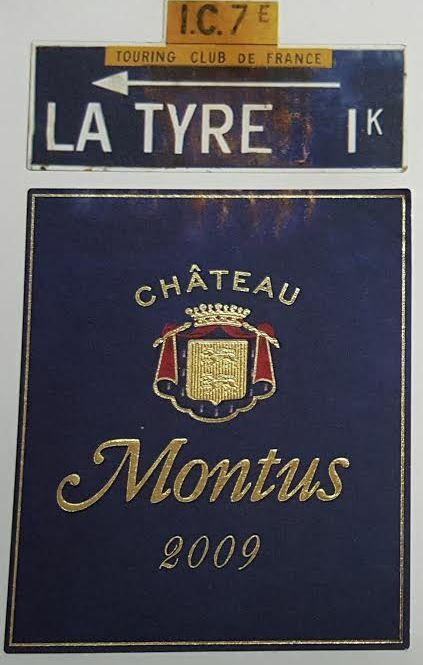 A. Chateau-bottled Bordeaux wines offer the customer site specificity and the personality of an owner or winemaker or estate manager (who is the motive force behind the wine) – so person and place – at all price points (including even lower – as in under $10 – price points where many new-world wines can be pretty “corporate” in nature). So a chateau-bottled Bordeaux wine can offer a value and a story to the customer as well as a potentially delicious, food-friendly experience. Q. Where is the most value in Bordeaux? Are there particular appellations or producers you think offer consumers the most bang for their buck. A. Assuming that by “value” you mean moderate price points or wines for everyday consumption, the most value in Bordeaux can be found outside the classified growths and biggest names. 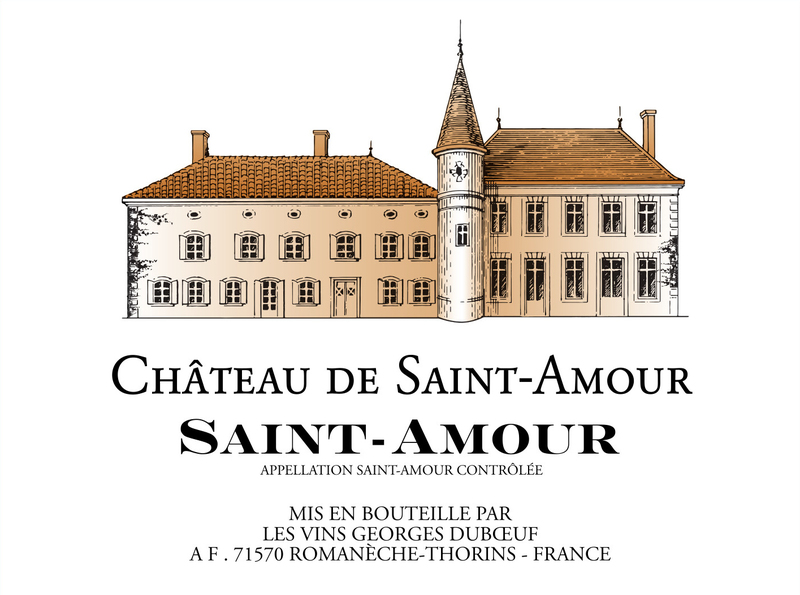 There are lots of chateau in the Haut Medoc, Pessac Leognan and Graves, the Bordeaux Cotes (especially Francs and Castillon), and the satelites around St. Emilion and Pomerol, and even basic St. Emilion and St. Emilion Grand Cru that over-deliver on bang-for-your-buck under $30.00 per bottle. The best of these wines offer fruit and flavor and a story and a sense of place to go with their value price points. Of course this ignores the value to be found in Bordeaux when you compare fine Bordeaux at whatever price point (pick one) to comparably priced wines from around the world. Q. How do you go about selecting the Bordeaux that you buy? Are there particular qualities of wines that you think resonate the most with today’s consumers? A. I taste. In Bordeaux. In every vintage. When I taste, I look for fruit first, then quality and balance, and then consistency and value. I look for a clean package and a story to tell my customer. I look for wines I am happy to drink because I know I can sell those wines. I also look to buy those wines from trust-worthy, ethical people. Further, I think that each market in the US is unique. Texas is a more Cabernet Sauvignon-centric than most so, while we carry a good selection of Merlot-based wines from Bordeaux, we’re always on the look out for new Cabernet-based (read Left Bank) wines from Bordeaux. Most of those wines come from the Haut Medoc, Pessac Leognan, and Graves. I also think that our customers (when given the option) generally prefer fruit and balance to over-extraction and over-ripeness – so I look for more elegant but still flavorful wines. Q. 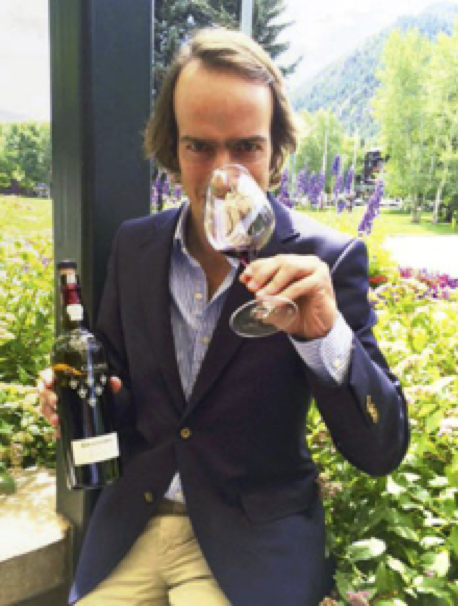 How do you position Bordeaux to consumers? A. Simply put, Bordeaux offers the best experience at the table at the best price. Bold statement? Yes. But many value-priced new world brands either don’t taste good or don’t taste like anywhere. Many (not all) are over-ripe, over-blended, over-sweet, unbalanced messes more suited to standing-around-drinking (wine in lieu of cocktails) rather than drinking with food at the dinner table. If you’re looking to drink wine with dinner at $10 per bottle, there is a Bordeaux wine for you that will stack up well in comparison to wines from anywhere else in the world. The same is true at $15 and at $20, and at $30 and so on up to over $500. Chateau-bottled Bordeaux is real wine from real places made by real identifiable people from specified grapes grown using increasingly environmentally friendly practices in styles that work well with a variety of styles of food. Even if US consumers haven’t tasted Bordeaux, they know the name and know Bordeaux is one of the classics. And that often makes them willing to try a new (to them) Bordeaux wine. Q. Any overall thoughts / suggestions on how to sell Bordeaux on the retail level? A. The easiest way to sell Bordeaux is to give the customer a proper pour in a proper glass in a relaxed environment and let them taste it. Proper pour means a sample that is fresh, has been shipped and stored properly and is being served at the correct drinking temperature in an amount conducive to tasting (about 1.5 ounces). A proper glass is just that, a proper stemmed wine glass that is the right size and shape to taste from (A plastic cup that holds 2 ounces is not a proper glass) or the sort of glass the customer might use as an everyday wine glass at home. A relaxed environment means seated at a table with good (but not harsh) lighting in a comfortable room with a controlled level of noise and extraneous activity. Even better if food is involved. Tell them what they’re tasting and why it tastes like it does. Let them engage their brain as well as their senses of smell and taste. There is an intellectual appeal to the finer things and Bordeaux wine is one of those finer things. This is not snobbery; rather, it is reality. It ain’t braggin’ if you can back it up. To sum up, I think chateau-bottled Bordeaux across all price ranges offers some of the very best values in the wine world today. Add in it’s ability to pair well with a wide variety of foods and ready availability, Bordeaux becomes an even more obvious choice. Do I drink wines from other regions around the world? Of course I do. I love Champagne and German Riesling, red and white Burgundy (and other well made Pinot Noirs and Chardonnays), Rhone wines, Zinfandel, Rioja, Napa Cabs, and more. But Bordeaux is my reference standard for most of the dry red wines and much of both the dry and the sweet white wines I taste from else-where in the world. And as much as I love a good glass of Burgundy (and I really do), Bordeaux generally offers a better-bang-for-my-wine-buying-buck. No, this is not a Grinchy post about bad actors in the wine business – although that might be fun even if I had to change some names to protect the guilty. Rather this is about the good SOBs: Sustainable – Organic – Biodynamic. One her website, Dr. Liz Thach, MW of Sonoma State University writes about a consumer survey indicating that a lot of folks are willing to pay more for wines made from grapes grown using Sustainable, Organic, or Biodynamic farming. This is great but it looks like more than few of those surveyed are willing to pay more mostly because of the “feel good” associated with doing-the-right-thing. I have zero problem with that. But I think there’s a more compelling reason to buy SOB. That reason is quality. Assuming good winemaking practices suited to SOB-grown grapes, wines made from SOB grown grapes have a much better chance of expressing terroir or site specificity than commercially farmed grapes made using commercial winemaking practices. I would argue that SOB-grown grapes produce better, more complex wines that give the geek wine drinker (which I am and which, if you’re reading this blog, you likely are, too) more of the experience we are looking for when we drink wine. Either way, buy SOB (Sustainable – Organic – Biodynamic). If you want to drink the best wines, look for the SOB. Huh? You know, wine made from Sustainable, Organic, or Biodynamic grapes. Why is that important? Commercial farming is based on control with lots of chemical inputs and fertilizers and use of chemical herbicides, insecticides, and fungicides to control weeds, pests, and fungus. They do that but they also kill many of the beneficial microbes (yeasts, bacteria, molds, etc.) and beneficial insects and earthworms in the vineyard. SOB farming does not use chemical inputs and remedies so SOB vineyards have healthy microbial populations that support healthy insect and earthworm populations which aerate the soil (keeping the soils alive) and prey on detrimental insects. And, as it turns out, that healthy microbial population is also the means by which terroir or a sense of place is transmitted into the wine. Fine Wine (which is a definable thing) comes from an identifiable Place and an identifiable Person. That place is where the grapes are grown and that person, whether the owner or estate manager or winemaker, is the motive force behind why the wines are grown and made and taste as they do. That motive force decides whether to grow (or buy) SOB grapes with which to make their wines. And they decide what techniques to use in the winery. A Person who goes to the trouble to grow SOB grapes is likely to refrain from dosing said grapes with sulfur-dioxide (an antimicrobial) when they come into the winery. And they are likely to keep a clean-but-not-sterile winery that has its own beneficial population of yeasts, bacteria, and fungi. Further, they are likely to let those two healthy microbial populations (vineyard and winery) interact to generate a beneficial Indigenous Yeast Fermentation. So when a winery harvests grapes from an SOB vineyard, they bring a sampling of the natural microbial population of that vineyard into the winery with the grapes and those microbes, if allowed (by the Person who is the motive force) work with the natural microbial population of the winery to express both the Place of the vineyard and the Place of the winery into the wine. This indigenous yeast fermentation starts much more slowly with a greater variety of yeasts (and other microbes) doing the work and transmitting their flavor inputs than a cultured commercial yeast fermentation. The result is a more complex set of flavors making it into the fermenting wine. If all of this happens and the Person behind the wine makes other good decisions throughout the process, the result can be wines that move beyond being “just” fine wines into Great Wines that show real excellence. For me, the hallmark of that excellence is wine that is Layered, Textured, and Dimensional (LTD). And the vast majority of all the wines I’ve tasted that I find to be LTD wines are made from SOB grapes with an indigenous yeast fermentations. Here’s my selection of some of the best of the SOB Cabernets from California I have tasted (and drunk) lately. None of these wines are blockbusters and, although they sell well in steakhouses, none are what I think of as Steakhouse Cabernets. Rather, they are elegant balanced, nuanced wines that often exhibit layering and textures and dimension. These are what I think of as Great Wines. 100% biodynamic Cabernet Sauvignon given an indigenous yeast fermentation in temperature-controlled tanks with pump-overs. Aged 20 months in all French oak barrels (all new). Purple-red color with well formed legs; dry, medium full-bodied with balanced acidity and medium chewy phenolics. Rich and ripe but completely in balance. Elegant and lovely with delicious dark and darkest red fruit. Layers in tobacco and gravel-earth with notes of spice and cedar. Stunningly good in its freshness and richness and over all pleasure it gives. Integrated, Complete. Layered-Textured-Dimensional BearScore: 100. 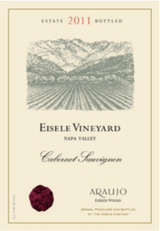 An all estate, sustainably grown (at yields of less than 1.5 tons-per-acre) blend of 75% Cabernet Sauvignon, 18% Merlot, 5% Cabernet Franc, and 2% Petite Verdot from genitically diverse vineyard blocks given an indigenous yeast fermentation and an indigenous,naturally-occurring malo-lactic fermentation. Aged 17 months in 100% new air-dried oak barrels (97% American, 2% French, and 1% Hungarian). 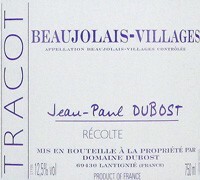 Deep-dark-purple color with well formed legs; dry, medium full-bodied with freshly balanced acidity and medium phenolics. Lovely, balanced, elegant, supple very Cabernet-tasting red offering tobacco and spice with graphite and dust and hints of ceda and black pepperr. Complete, integrated, delicious. Nuanced. Layered-Textured-Dimensional. 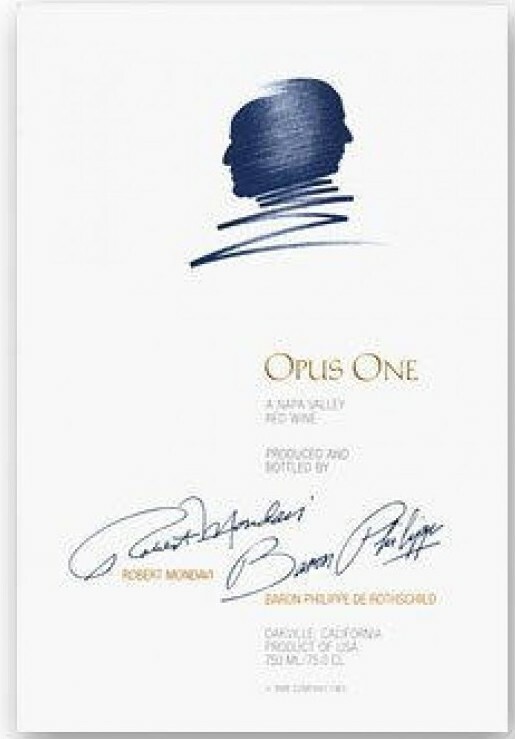 Stunningly good wine that stacks up with the very best wines made anywhere in the world. BearScore: 100. 80% Cabernet Sauvignon, 7% Petit Verdot, 6% Cabernet Franc, 5% Merlot, and 2% Malbec grown organically on the estate’s vineyards. Indigenous yeast fermentation in temperature contolled stainless steel tanks with pumpovers. Aged 18 months in all French oak barrels (100% new) 2014 was the earliest budbreak in winery history. Red-purple colo with well formed legs; dry, medium-bodied with freshly balanced acidity, medium phenolics. Supple, dusty-juicy, alive. Delicious ripe complex but focused Cabernet with tobacco, dust, cedar, and subtle graphite. 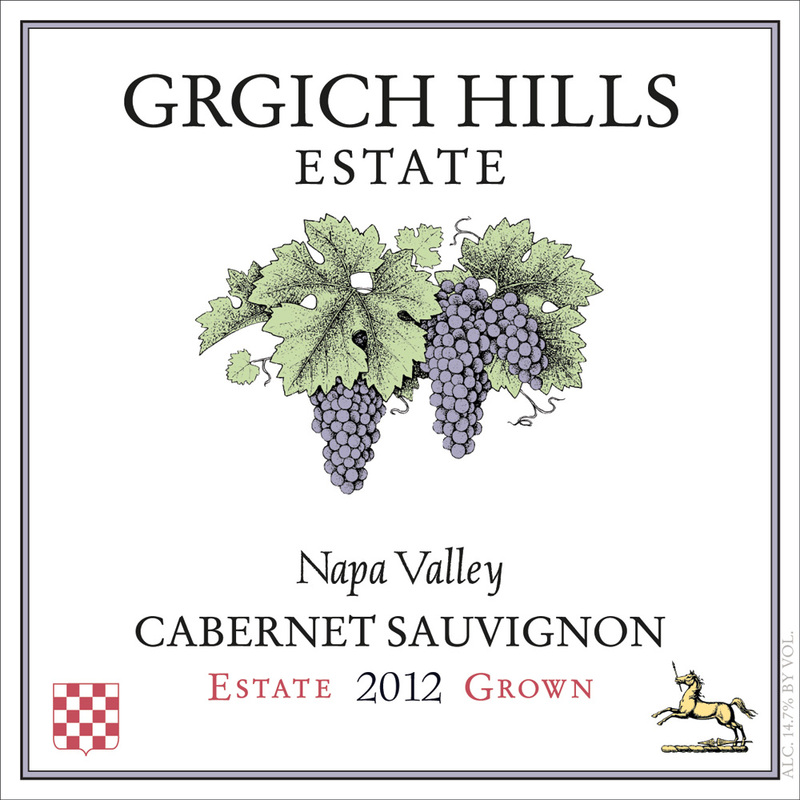 This is one of the very best Cabernets made in Napa Valley today. Balanced and complete. Already drinkable but a wine to keep. BearScore: 98+. A biodyamically grown, estate-bottled blend of 85% Cabernet Sauvignon, 7% Merlot, 2% Cabernet Franc, 3% Petit Verdot, and 3% Carmenere fermented with indigenous yeasts in temperature-controlled stainless steel tanks using pump-overs (21 to 25 days average maceration) and aged 21 months in French oak barrels (85% new). Red-purple color with well formed legs; dry, medium-bodied with freshly balanced acidity and medium phenolics. Riper and richer. Supple and delicious with juicy red and some black fruit accented with tobacco, black pepper, dust, cedar and more. Long and delicious. Layered-Textured-Dimensional. YUM. BearScore: 96+. 100% Cabernet Sauvignon from the estate’s certified organic vineyards fermented in temperature controlled stainless steel tanks with pumpovers and aged 18 Months in 100% French oak barrels (75% new). Red-magenta color with well formed legs; dry, medium full-bodied with freshly balanced acidity and medium phenolics. Supple rich elegant classic (not modern) Cabernet . Red fruit and tobacco with spice and graphite. Balanced. Subtle. Integrated. Complete. Layered-Textured-Dimensional. BearScore: 96+. A blend of 87% Cabernet Sauvignon, 8% Cabernet Franc, 3% Petite Verdot, and 2% Merlot from the estate’s certified organic vineyards fermented in temperature controlled stainless steel tanks with pumpovers and aged 18 months in 90% French & 10% American oak barrels (50 new). Red color with well formed legs; dry, medium-bodied with freshly balanced acidity and medium chewy phenolics. Elegant balanced Cabby Cabernet. No manipulation or over ripeness. Just lot of classic Napa Cabernet Fruit with tobacco and graphite and a welcome bit of dust. Takes a minute to open up but more than repays that bit of required patience. Quite Delicious. BearScore: 94. A blend of 86% Cabernet Sauvignon, 6% Malbec, 6% Petite Verdot, and 2% Merlot (all sustainably grown on the estate’s main ranch) fermented in temperature controlled stainless steel tanks with pumpovers and aged 18 months in 59% French 31% American, and 10% Hungarian oak barrels (48% new). Purple color with well formed legs; dry, medium-bodied with freshly acidity, medium phenolics. Supple focused elegant Cabernet. Lovely pure focused balanced red fruit and tobacco. Delicious. BearScore: 93. 100% Certified Organic Cabernet Sauvignon fermented with blocked malo-lactic (very unusual in red wine making) and aged 1 year in Oak tanks followed by 30 months in French (Limousin) oak barrels (100% new), no ML Deep-red color with well formed legs; dry, medium full-bodied with freshly balanced acidity and medium phenolics. Lovely supple, ripe, juicy. 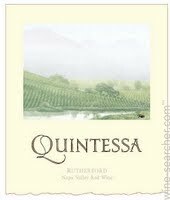 Darker red fruit with herbal notes of tobacco and euchalyptus to go with some dusty earth and integrated oak. BearScore: 95+. 100% Cabernet Sauvignon (certified organic) fermented with pumpovers but blocked malo-lactic fermentation. Aged 1 year in oak tanks and then 30 months in all French (Limousin) oak barrels (all new) No MLdeep-dense-red-purple color, and with well formed legs; dry, medium-bodied with freshly balanced acidity, medium phenolics. Dusty tobacco, cabby red with all red fruit. Elegant and balanced. BearScore: 93+. 100% Cabernet Sauvignon, all from the estate’s vineyards and almost all organic (Oak Knoll is farmed organically but not yet certified. Fermented in temperature controlled stainless steel tanks with pumpovers to start and finished in American oak tanks. 1 year in oak tanks, 2 years in French Limousin Barrels (some new). 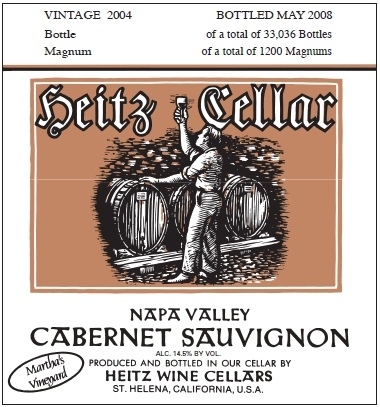 Unusually, Heitz’ Cabernets get no malo-lactic fermentation. One additional year of aging in bottle before release. 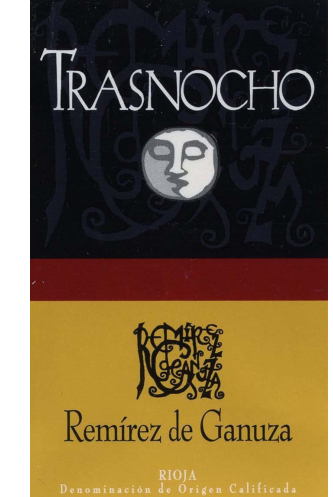 Deep-dark-red color with well-formed legs; dry, medium-bodied with freshly-balanced acidity and medium phenolics. 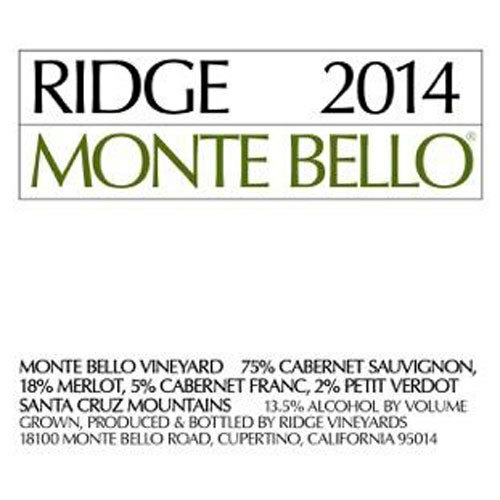 Supple, fresh, lively, tobacco and red fruit Cabernet in a balanced, elegant, decidedly Claret style. BearScore: 91+. A blend of 79% Cabernet Sauvignon with 12% Merlot, 5% Petite Verdot, and 4% Cabernet Franc all from the estate’s certified organic vineyards. Aged 21 months in all French oak barrels (60% new) and then aged 2 years in bottle before release. Purple color with well formed legs; dry, medium-bodied with freshly balanced acidity and medium phenolics. 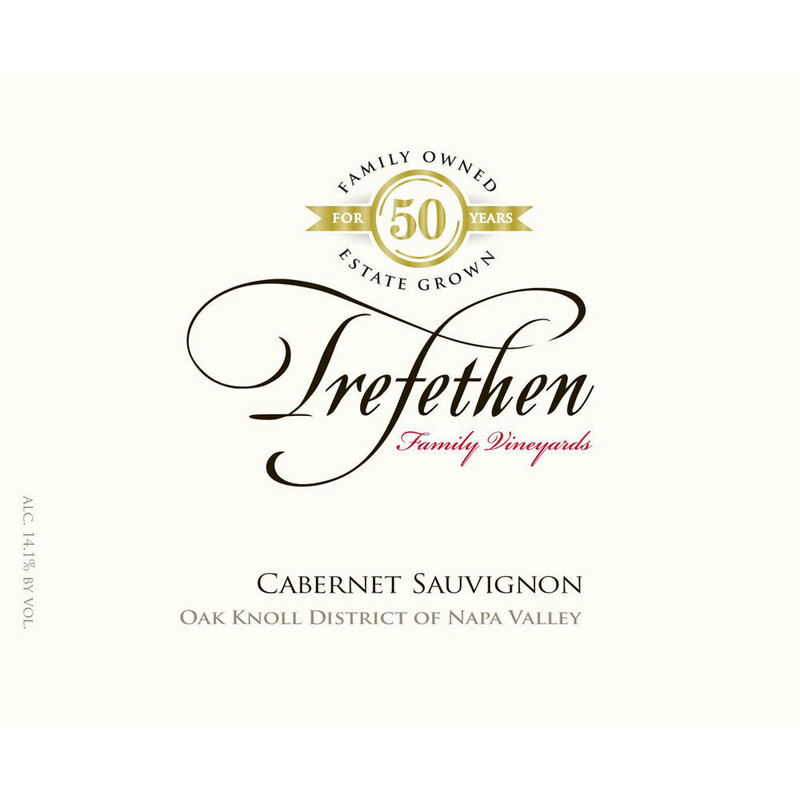 Classic old-school Napa Cabernet with chewy, lively fresh darker-red-and-some-black-fruit accented with notes of tobacco leaf, graphite, cedar, and dusty oak. Delicious. BearScore: 94. In Houston and the surrounding area, in fact on the whole post-Harvey Gulf Coast of Texas, nothing is normal now. And what passes for normal won’t return for a while yet, maybe not for a very long while. Yet life goes on. If we were affected by the storm and the subsequent floods, we may be stunned or shocked or angry or all of them. If we came through with little or no loss or damage, we may feel guilty or blessed or both. In either case though, we sleep and wake, we eat and drink – and we continue living. I know that during the Saturday night and the Sunday of the actual storm (August 26 and 27), a lot of us (me certainly included) were drinking very good wines in the spirit of the hurricane party. I know some legendary bottles were consumed then. But after that something seemed to change. Some have been doing heroic work helping their neighbors even before the water has subsided. Some have donated materials and monies. Some were almost immediately back at their jobs – even as others in the city couldn’t get to or from their homes. As one who was back in the office on August 29, I can say that I am back in my routine but that it is anything but normal. My routine at work is not normal and my routine at home is not normal. We are sleeping and waking, eating and drinking but the eating and drinking is different. More meals at home whether dinner for 2 or dinner for 10. More comfort foods and fewer steak nights. And while we are still drinking wine, the wines are in some ways different. We have drunk a few bottles of a lovely Sancerre and a fine Alsace Pinot Gris (we rarely drink white wine at home). We have drunk several bottles of Zinfandel (both some Ridges and some Ravenswoods with my Bolognaise – which for me is much more of a winter thing), and we have drunk (with my turkey-and-andouille-sausage-gumbo) a couple of the best bottles of Beaujolais I’ve tasted in years. All of which is not to imply that we have abandoned bubbles. We are still a fizz friendly family but we are drinking more basic bubbles (Perelada Brut Cava, Mercat Brut Rosé Cava, and Jansz Rosé) and less actual Champagne just now. 100% Pinot Gris from the Rittersberg terroir (a microclimate 8° warmer than average for Alsace with shallow, granitic soils on slopes. Famed with alternating rows of clover cover). Pneumatic press, fermented and aged 9+ months in classic old wooden foudre, Residual sugar of 16.4 grams-per-liter (1.6% RS). Straw color with good legs; off dry, medium light-bodied with freshly balanced acidity and scant phenolics. 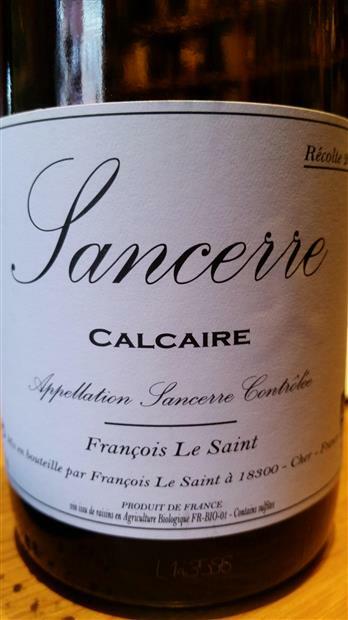 Supple, ripe, rounded with ripe soft pear and ripe lime and lime peel fruit to go with a mineral freshness. Exactly what I am looking for in an Alsace Pinot Gris. Fine with fish, pork, or veal. Has enough residual sugar to be able to handle some spice (including a bit of curry or Asian spice) in a dish. BearScore: 91+. At some point, things will get back to normal and I’ll resume my routines but for now I am feeling blessed – and enjoying drinking some different wines.